Many people think of the perfect pet as being a cat or a dog. But what about other pets like snakes, turtles, and iguanas? These reptilian pets aren’t furry and cuddly, but they do offer companionship – and companionship for a very long time! Reptiles, when taken care of properly, can have extraordinarily long lives. Three animals I will talk about here are corn snakes, turtles, and iguanas. 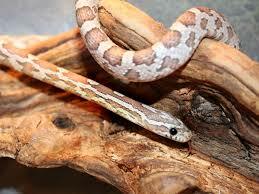 The reason corn snakes are so popular amongst reptile owners is that they have a great temperament. They tend to be calm and slow moving, and the greatest bonus is that they are not poisonous. All snakes shouldn’t be handled after they have eaten, but otherwise these snakes are easy to handle. Corn snakes grow to be around 5 feet long so you will need to increase their habitat size as they mature. They are one of the easier reptiles to care for; they require fresh water daily and a feeding once a week. When taken care of properly corn snakes can live for up to 20 years. 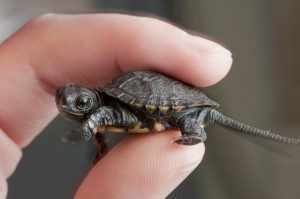 Turtles are incredible reptiles that can live for 50 years and, in some cases, up to 100 years. To get one of these reptiles is quite literally a lifetime commitment. They take a lot of care and devotion and require ultraviolet light and a climate controlled environment, as well as a complex portion-controlled diet. They grow quite large and their habitats must be increased in size as they grow. Turtles create a lot of feces, so their environment needs to be meticulously kept. As they are known for carrying salmonella, you will also need to be diligent about washing your hands. Iguanas have grown in popularity over recent years. Like most reptiles, they require a large habitat, a climate controlled environment, a strict diet, and the dedication to continue to care for them, because they live for up to 20 years. Like turtles they carry salmonella and create a messy habitat. They also may have a tendency to become aggressive as they age. Iguanas aren’t for the faint of heart as they are a high maintenance pet. All of these reptiles are lifelong companions. Be sure you are willing to commit to the amount of work these reptiles require to remain healthy. Enjoy your reptilian adventure.